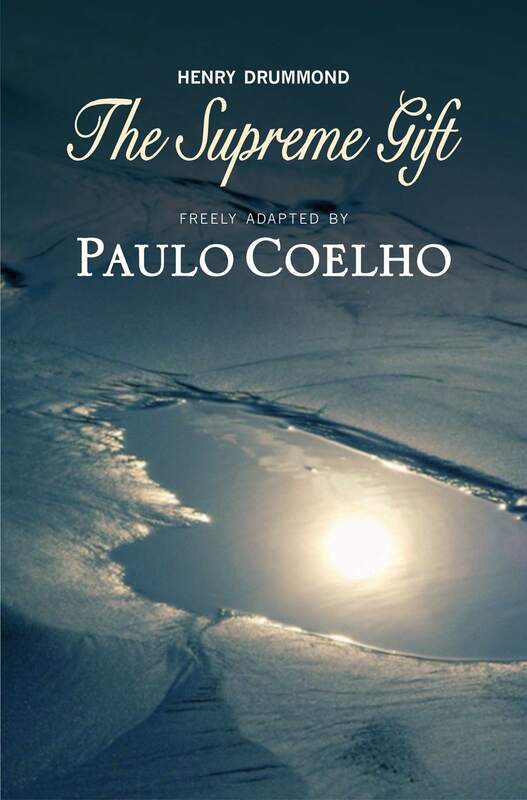 The Supreme Gift, a rewrite by Paulo Coelho of The Greatest Thing in the World by Henry Drummond, a book that was to greatly influence the life of Paulo Coelho. The Supreme Gift, is currently only available as an e-book, only available on Amazon and iTunes (it may become available on Kobo). But why restrict to Amazon and ITunes (and maybe Kobo), when there are distinct advantages to author and reader to release on leanpub? Writers get a far better deal on leanpub, as do readers. Leanpub pays 90% royalty to authors, less a 50 cent flat fee. For the reader, multiple download formats, open source formats, not propriety formats. Amazon is a propriety format, restricted to an Amazon Kindle. iTunes I do not know. Kindle spies on what the reader is reading, Amazon can and do arbitrarily delete contents of a Kindle. Kobo readers are better than Kindle. Open source format for e-books. Kobo Touch is currently in WHSmith in UK at £30 (approx 45 euros), it was £90. The equivalent six inch e-reader from Amazon, Kindle Touch, is double the price. For those who do not have an e-reader, download and install Calibre. Calibre can also be used to manage books on an e-reader. Thus reader and writer get a better deal on leanpub. But let us go a step further, a book about a gift, let us incorporate the principles of the Gift Economy that Charles Eisenstein describes in Sacred Economics. Charles Eisenstein, in keeping with his idea of a Gift Economy, gift to others with no expectation of return, you can purchase Sacred Economics from a bookshop (if you can find), download as an e-book (pay what you wish), or download for free. Leanpub lets us do something clever. We can set a low minimum price, say $1, a suggested selling price of say $2. A slider lets us pay what we choose, we can pay more than the suggested price, and we see how much of the price we choose to pay, goes to the author. If we choose less than the suggested price, the author has granted us a gift. It is then for us to decide what we do with our gift. We may, for example, tell others, we have then passed the gift on, if they choose to download and pay, then we have also repaid the author. It is what bass player Steve Lawson calls a zero cost transaction. No one has actually lost anything, you do not know where it may lead. Bandcamp in part, operates in this way. You can listen as often as you wish, you are encouraged to share, sometimes download for free or pay a low minimum price, pay what you wish. And surprisingly it works, people are willing to pay, and if they share, more people discover the music. A complete contrast to the greedy Big Record Labels, who rip off everyone and criminalise those who dare to share. Steph Bradley spent six moons walking around the country, sharing and collecting tales of what is possible, what people are trying, and collecting together in Tales of Our Times. She was inspired by Paulo Coelho to follow her dreams. On St Valentine’s Day, she will publish on leanpub, Searching for Love, an anthology of love poetry. The Greatest Thing in the World (1874), a meditation Henry Drummond wrote in 1874 that illuminates the importance of 1 Corinthians 13. Widely read and quoted during his lifetime, it went on to sell over 12 million copies and it continues today to influence people to follow God’s two great commandments: to love God and to love each other.